This will be a two-part review. The final score will be pending until further gameplay, but I wanted to get this part out. 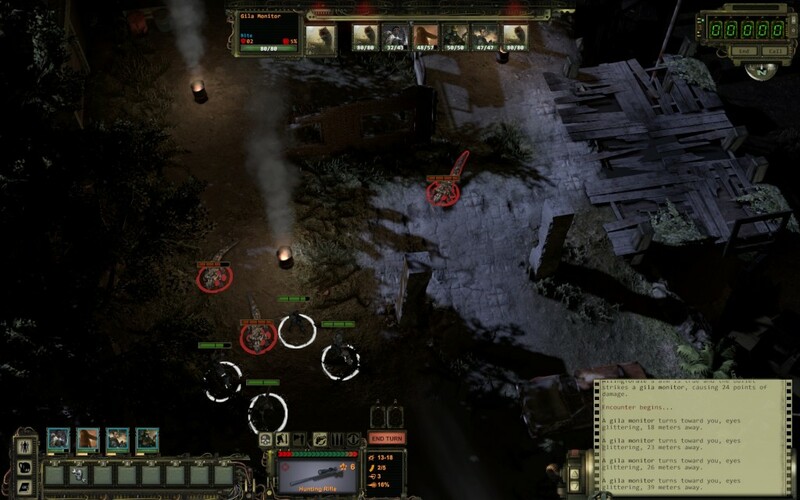 Wasteland 2 got me in the mood to do something I’ve not done in almost any RPG I’ve ever played, but this time I got the wild hair to immerse myself fully into Wasteland 2. I took all the time I needed to and created a party of four, fully-specced, well planned out and having spent most of the points with a specific plan of attack and tactic in mind. I even wrote up individual back stories for each character even though it didn’t really seem to matter. If you’re not getting it so far, I put a lot of time, effort and love into it. There were so many ways to customize your characters. Visual differentiating was kind of “meh”, but stat/talents blew my mind. 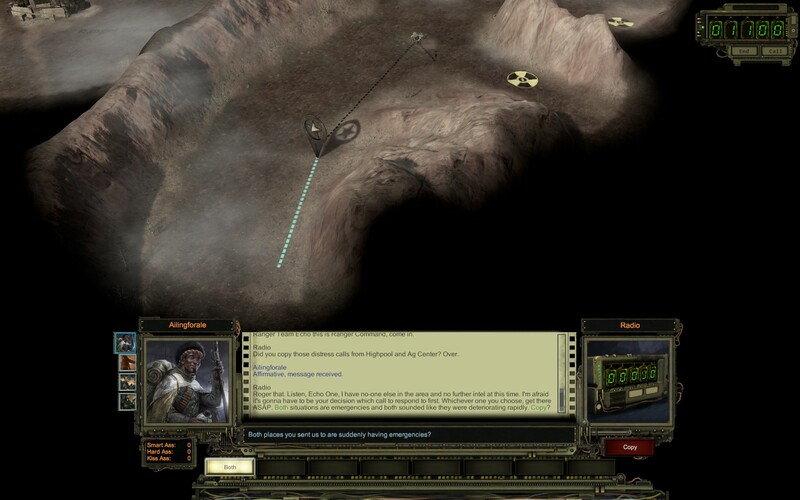 Heading out into the world of Wasteland 2, I was excited to be led by a host of voice acted characters through the intro. The controls were very much what I was expecting from something that really reminded me of the earliest Fallout games. 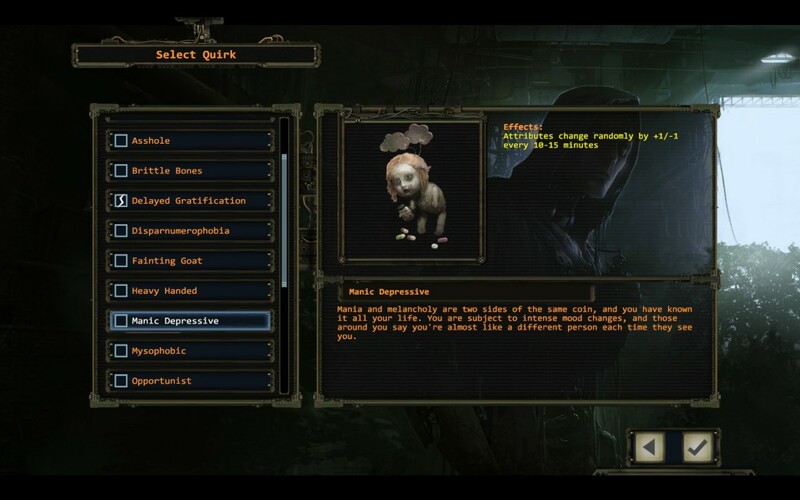 That is also the main reason I was interested in Wasteland 2 to begin with. The first Fallout doesn’t really run well on my more modern computer which is super unfortunate and silly, but that’s a gripe for another post. This is about where the game breaks down for me and it truly does make me sad. I was not excited in how the gameplay was executed after such a setup in my mind with the hype train I had built and jumped on. After the tutorial I was thrust into the wasteland. You are marked on the map by the badge of the Ranger and not with a more traditionally modern party of four in an overworld. This is fine and my first fight goes very well. My second fight in the wilderness is against some funky lizard-beasts. That is also cool; I opted to not have a good chance of avoiding fights because more fights equate to more experience. How else do you level up, right? Well be that as it may, this fight was ridiculous. As far as second fights in an RPG goes, these things were massively out of my league. (The game is also linear at this point so I’m not going places I shouldn’t be.) That and there were more of them than my own party. My weapons were borderline useless. (That’s even taking range and such into consideration.) I restarted that encounter and just ran from it not wanting any of my people to die on principle. The second thing that bothered me was the sniping. One would think that a sniper would be able to make that long distance shot and have it be awkward to make a shot that is too close to yourself. That would make the most sense to me at least. What I experienced was a not what I would call a traditional sniper. You couldn’t take those long ranged shots from one side of the screen to the other. Wasteland 2 would just tell you that you couldn’t do that. Even a guy standing on the edge of a second story ledge of a building in plain sight was impossible for me to try to shoot. Sniper rifles should have just been a rifles with crappy amounts of ammo and a low clip count for what it did for me. The next thing I experienced was walking into a building and having some goons end two people from my team, the first being my “sniper”. Then my melee specialist went down. I finished the fight with two people down and was expecting my medic to be able to help my fallen comrades. Turns out I needed a surgeon (remember my sniper?) because my people were bleeding out and a medic is helpless to deal with that scenario. I sat and watched my people bleed out and then learned that Wasteland 2 had permadeath. I turned it off at this point. I haven’t been able to turn I back on yet. Couldn’t be a Dwarf so I went for a dude with a fro… it only seemed natural. I’m almost to the point where I can jump back into the pit and start over. I mean that as well. I’ll be starting completely over and be playing Wasteland 2 like a traditional RPG and see how that turns out for me. Hopefully I will be ok-ish when a player dies and not completely distraught. That will be part two and when the score gets released for me.